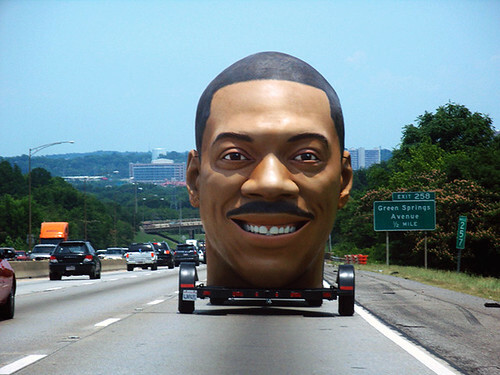 A giant Eddie Murphy head jumps out of the internet at you, and you feel strangely reassured. Yes, I agree. This was very reassuring. Thank you for the pick-me-up! Don’t ask me why I know these things. Heh, thanks for the tip, Jeremy. They really ought to incorporate it into GTA4 as a playable vehicle. Ha. That or in Twisted Metal. You can actually climb in and play with the “gay part” of his brain that picks up transvestites.